At one time, the American chestnut tree stretched in great numbers from Georgia to Maine. In the Appalachian Mountains, it was so prolific that it made up fully 25 percent of all tree species. Then in the early 1900s, the chestnut blight fungus, accidentally introduced to North America on imported Asiatic chestnuts, quickly spread. In forty years time, an estimated four billion chestnuts trees were dead. Only a handful of isolated trees remained in California and the Pacific Northwest. This is Susan Freinkel's absorbing story of a cultural American icon and the century-long struggle by those who refused to let the tree slip into oblivion. Winner. Forget Me Not: A Memoir. By Jennifer Lowe-Anker. The Mountaineers Books, Seattle. ISBN 1594850828. In this warm and touching memoir, Jennifer Lowe-Anker tells of her life with Alex Lowe, one of America's finest mountaineers. When Alex dies suddenly on an expedition in the Himalayas, she is left to care for herself and three young sons. With time, she finds solace, companionship, and eventually love with Alex's good friend and fellow mountaineer Conrad Anker. Candid and remarkably well told, it's a story of adventure, passion, struggle, and hope. Winner. Grand Obsession: Harvey Butchart and the Exploration of the Grand Canyon. By Elias Butler and Tom Myers. Puma Press, Flagstaff, AZ. ISBN 0970097344. Harvey Butchart was the legendary hiker and canyoneer who explored more of the Grand Canyon than any other person. He was largely known through his sparse and somewhat cryptic hiking guidebooks. But even more cryptic was Butchart himself. Who was this man, and why did his interest in the canyon become an obsession that consumed his life? You'll find out in this uncommonly well researched, well-structured and well-written biography. Winner. Fallen Giants: A History of Himalayan Mountaineering from the Age of Empire to the Age of Extremes. By Maurice Isserman and Stewart Weaver. Yale University Press. New Haven. ISBN 9780300115017. A history tome isn't the type of book that you'd think of reading from cover to cover, but A History of Himalayan Mountaineering is the exception. Building upon an impressive body of research (notes and biographical entries alone occupy over 100 pages), authors Maurice Isserman and Stewart Weaver effortlessly move the reader from one era to another -- as easily as an accomplished climber might move from one rock pitch to another. This is an outstanding reference work, and if you enjoy mountaineering literature, it's clearly one for your book shelves. During the fall and winter of 1911-12, Ellsworth and Emery Kolb rowed two wooden, flat-bottomed boats on a 1,600 mile journey down the Green and Colorado Rivers. They re-traced John Wesley Powell's famous journey from Green River, Utah through the Grand Canyon, but they went even farther, eventually arriving at the Gulf of California. Long out of print, this vivid, historical account is one of the great adventure tales of the American West. Thanks to the Grand Canyon Association, Through the Grand Canyon is now back in print and available to a new generation of readers. Winner. 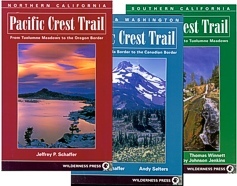 The Pacific Crest Trail (Series)In three volumes: Southern California, Northern California and Oregon &Washington. Authors include Thomas Winnett, Ben Schifrin, Jeffrey Schaffer, Ruby Johnson Jenkins, and Andy Selters. Wilderness Press, Berkeley. ISBN's: 9780899973166, 9870899973173, 9780899973753. The 2,650 mile Pacific Crest Trail is one of the great hiking trails of the world, passing along the spine of the Sierras of California and the snow-capped Cascades of Oregon and Washington. A great trail deserves a great guidebook, and the three volumes making up the Pacific Crest Trail series rise to the challenge. Written by accomplished hikers and regularly updated, accompanied with useable maps, and filled with helpful information on the trails, the Pacific Crest Trail guides have been and remain the best of the best. Winner. The Pole. By Eric Walters. Puffin Canada/Penguin Group, Toronto. ISBN 9780143167914. The Pole is a splendid work of historical fiction oriented to pre and early teens. It is built around the epic adventure of Robert Peary's 1909 attempt to the reach the North Pole. Canadian children's author Eric Walters tells the story of a fourteen-year-old boy, Danny, who has obtained a job on Peary's ship as a cook's helper. Because of his age, Danny expects to remain on the ship while the expedition to the North Pole is underway, but once they reach Greenland, he quickly establishes his worth as a dog musher. Peary decides to take him along on the journey north, and Danny suddenly finds himself on an adventure of a lifetime. Winner. The Last Polar Bear: Facing the Truth of a Warming World. Photographs by Steven Kazlowski. Braided River Books, an imprint of The Mountaineers Books, Seattle. ISBN 9781594850592. There is no better indicator of the consequences of global warming than the plight of the polar bear -- and there's no one better to capture the great white bear of the Arctic than photographer Steven Kazlowski. Kazlowski's stunning photographs, obtained in the most difficult of conditions, place the bear in context with a rapidly changing environment. But it's not just illustrative material that make this a winning book, Kazlowski's photographs are given meaning and understanding through series of insightful essays by noted authors, conservationists and native Alaskans. Winner. The Great Lakes: The Natural History of a Changing Region. By Wayne Grady. Greystone Books, Vancouver. ISBN 9781553651970. This is a compelling and timely exploration of a vitally important ecosystem in the heart of the North American continent. The five lakes (Huron, Ontario, Michigan, Erie and Superior) constitute the largest readily available freshwater in the world, about 20 percent of the planet's total. Nicely designed with color photographs, diagrams and maps, and written by one of Canada's best-known science writers, The Great Lakes it is the perfect vehicle to understand this remarkable area. Winner Surfboards by Guy Motil. Falcon Guides, Guilford, CT. ISBN 9780762746217. This consummately designed and photographed book is about those sleek and simple contrivances that allow surfers to harness the natural power of an ocean wave. Much of Guy Motil's life has been entwined with the sport, and the text clearly bears out his intimate understanding of boards and their myriad permutations. Whether you're a surfing dabbler or a serious devotee, it won't disappoint. One look at this sumptuous book and you'll agree. It's a must-have. 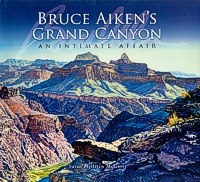 For thirty years Bruce Aiken lived in a remote side canyon of the Grand Canyon. There he tended to the National Park's water supply. And there he perfected his art. This long awaited book showcases some of Aiken’s most stunning pieces portraying the canyon in his own unique style of vivid colors and intimate details. The accompanying text written by Susan Hallsten McGarry very nicely complements Aiken's work by providing perspective on his art and biographical information on his life. Ed Cooper was a pioneer climber in 1950s and 60s, making many important first ascents in Canada, the North Cascades and Yosemite. In addition to his climbing experience, he is also an outstanding photographer, having published his work in a wide variety of magazines and books. In this moving and graphically striking book, Ed Cooper uses story and photographs to take the reader on a personal 50-year journey of his love affair with mountains. Winner. Birds of Peru. By Tomas S. Schulenberg, Douglas F. Stotz, Daniel F. Lane, John P. O'Neill, and Theodore A. Parker III. Princeton University Press, Princeton. ISBN 9780691049151. Winner. Florida Keys Paddling Atlas. By Bill and Mary Burnham. Falcon Guides, Guilford, CT. ISBN 9780762738571. This is an exceptionally well-done sea kayaking guide to the tropical water paradise of the Florida Keys. Graphically appealing and functional, it includes fully annotated navigational charts and information on key launch sites, helpful route-finding hints, paddle-friendly marinas and hidden-away waterways. Winner. Road Bike Maintenance. By Guy Andrews. Falcon Guides, Guilford, CT. ISBN 9780762747467. One word describes this full-color book on how to repair and maintain your road bike: wow! Everything you wanted to know about keeping your bike in tip-top shape is here, all pleasingly presented in step-by-step, crisp photographs and clear and understandable text. 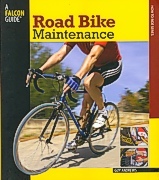 Whether you're an experienced hand with headset wrench or have never changed a tire, this is the book to have. Honorable Mention. Whitewater Kayaking: The Ultimate Guide. By Ken Whiting and Kevin Varette. Heliconia Press. Beachburg, Ontario. ISBN 9781896980300. This splendidly done, full-color book lives up to its title. It is the ultimate guide to whitewater paddling. 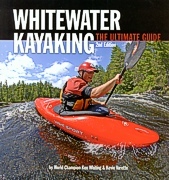 Authored by two world renowned kayakers, its coverage is extensive, ranging from basic concepts to cutting edge paddling techniques. Ornithologist (1,000 birds on her life list), contributing writer for Minneapolis Star-Tribune and The Country Today. Winner of the 1997 National Outdoor Book Award for her work Sharing the Wonder of Birds with Kids—and Dave Barry's bird and tapeworm advisor. Professor of literature and creative writing at Red Rocks Community College in Lakewood, CO. Has worked as a park ranger at Blue Ridge, Wind Cave, and Glacier National Parks; and as a staff writer for Rachel Carson's Environmental News.